All the college students love this classic Denison Embroided Crew that displays the university name. 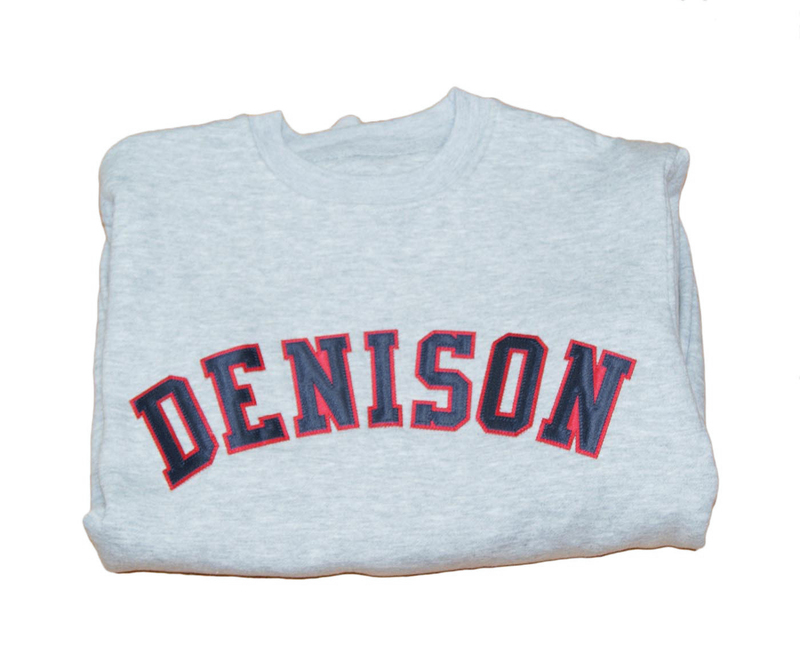 These crews come in a variety of colors, this one being grey, for the different preferences of the students. They are mainly cotton in origin so you might want to size up or not put through the drier the first couple of times so it does not shrink. Additionally, these crew sweartshirts do run on the large size because they are unisex in cut. These make the perfect gift for almost any student, alumni, or even a student just accepted into the university."